The Congressional Budget Office released its analysis of the Senate Republican health care bill, the “Better Care Reconciliation Act (BCRA),” on Monday. According to CBO’s projections, the bill would leave 22 million more Americans uninsured by 2026. According to the report, the bill in its current form would bring the total number of uninsured Americans to 49 million by 2026, compared to the estimated 28 million if the Affordable Care Act were to remain in effect. Those estimates are slightly—but not significantly—better than the CBO’s projections for the House Republican version of the bill that passed in late May. The CBO estimated then that the House bill would lead 23 million more uninsured by 2026. 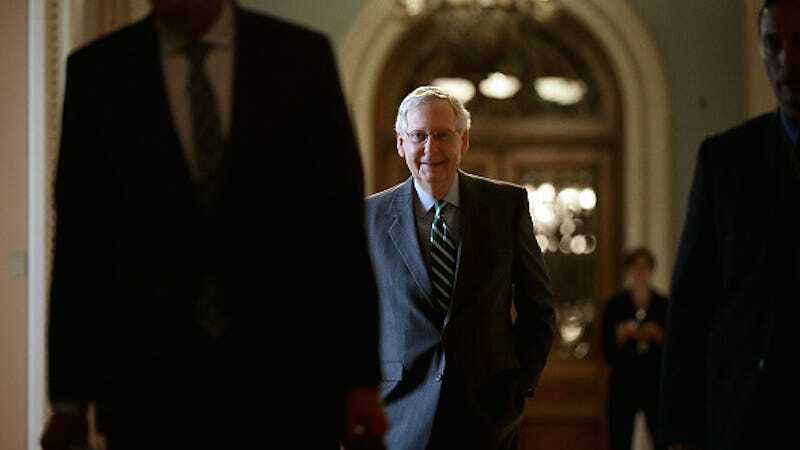 According to several outlets, the CBO report might make the bill politically difficult for majority leader Mitch McConnell who needs fifty votes to pass the bill. Five Republicans have expressed doubt about voting for the bill in its current iteration, but it’s unclear whether or not they will vote against the BCRA or are simply maneuvering to have it amended. Surely, it must be very hard for all of those weighing unfettered cruelty against reelection.